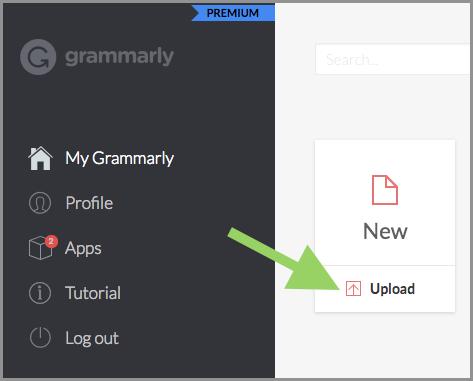 Now that you’ve created a new Grammarly account with your school email address, you’re ready to upload your document. Start by clicking the Upload button. To find your score, look at the bottom right. Click on your score to read your report. 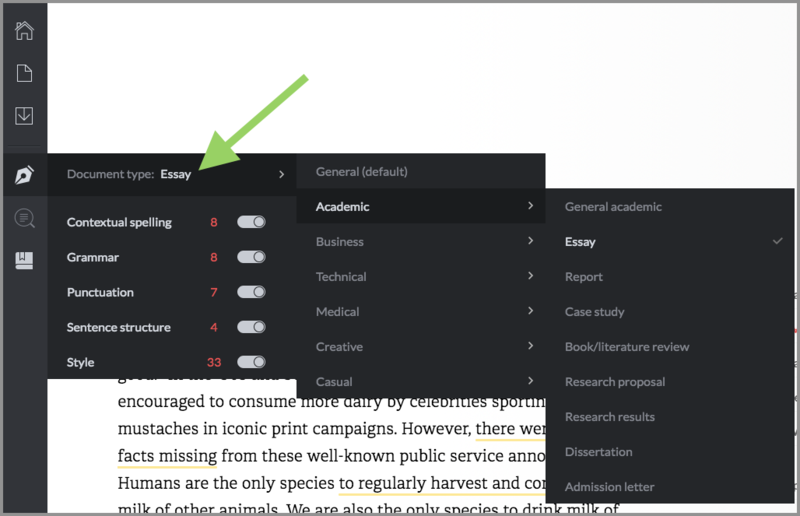 All comments and underlined words must be addressed in Grammarly and your Word document before you submit your essay! 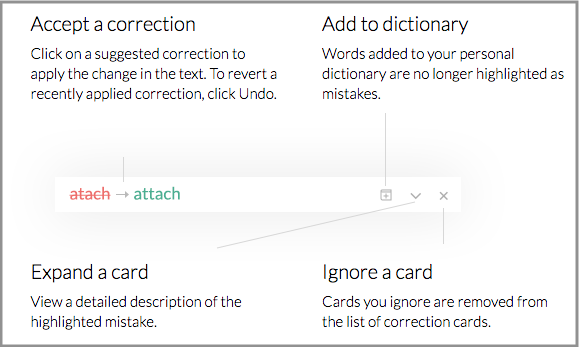 If you understand the error and agree, click the underlined solution in green and it will update your text. If you believe it should stay as is, click the X to Ignore. If you prefer to rephrase, make the change directly to the text and then click the X to Ignore. 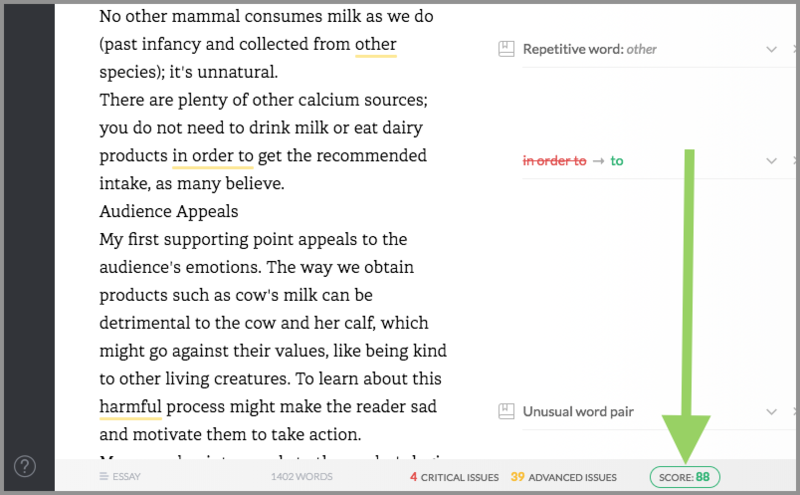 For comments that don’t include an automated solution, make your change to the text and click either This Is Helpful or Ignore. 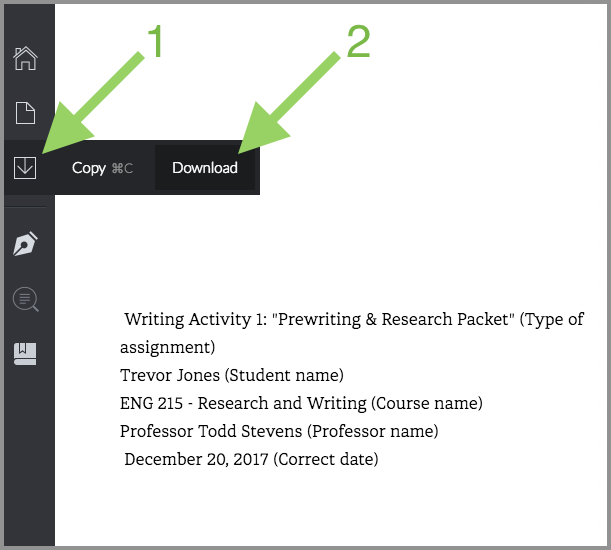 When you're done, you can download your edited document by clicking the down arrow on the top left, and then clicking Download. 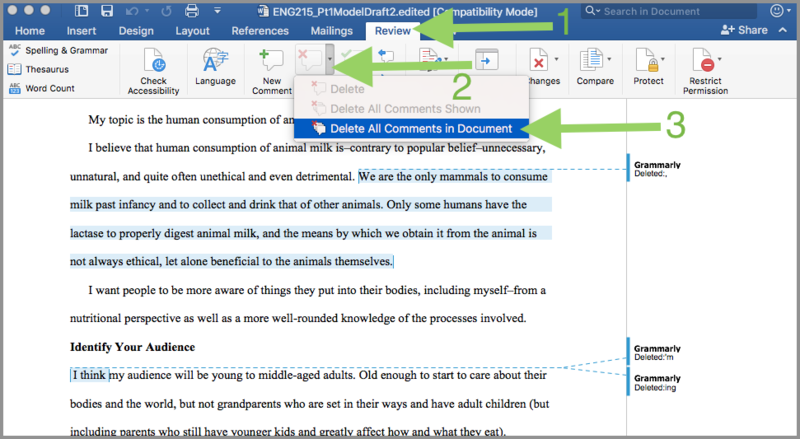 Alternatively, you can simply click the Copy button and paste your text into a Word document.